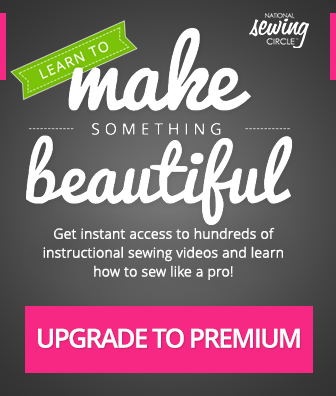 Packed with information from some of the most skilled professionals in sewing, The Secrets of Success Sewing DVD Collection gives you access to the most informative and in-depth sewing DVDs available today. This series was created to enhance your skills, provide you with new tips and techniques, offer you hundreds of simple to advanced projects, and give you step-by-step instruction for their completion. Get ready to be inspired to create your next project! Each DVD is yours to preview, free, for 21 days. In that time, you decide whether to add it to your exclusive collection or return it using the return instructions supplied with every DVD. You will be entitled to receive the newest DVDs every 2-3 months at the regular price, plus shipping and handling. You can cancel at any time. No minimum purchases, no obligation, and no catch. If you have any questions regarding your invoice, the products you have received, or if you would like to begin receiving this extraordinary DVD collection, please contact us at 855-231-0651 or by email at sewingdvd@program-director.net. Our customer service is available Monday – Friday from 7:30 A.M. to 5:30 P.M. CST.